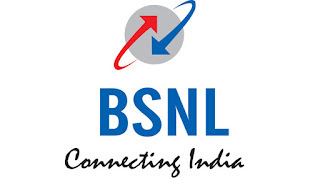 Bharat Sanchar Nigam Limited (BSNL) recently launched four fantastic plan for New-Broadband connection. BSNL claims to provide 20Mbps speed on daily basis with daily limited data, differ in accordance with respective plans. BSNL has launched these interesting plans as starter packs to attract New-subscribers. These plans are launched on a promotional basis and only for New-subscribers. These Non-FTTH BSNL plans start from Rs 99 to Rs 399. With data benefits ranging from 45GB to 600GB monthly. This comes ahead of the rumored launch of the Jio Fiber broadband service that is said to offer 100Mbps speed, Jio TV access and unlimited calls at less than Rs. 1,000. With these plans, BSNL is also offering one free email ID and 1GB of storage space. As mentioned it's a promotional offer valid only for 90 days, and after six months of enjoying these plans, users will have to migrate to one of the existing plans that BSNL offers. Also, a deposit of Rs. 500 will have to be paid by new users, the report adds. The war between these telecom companies will surely benefit us. These plans benefit only New-subscribers. These are promotional basis offer i.e after 90 days you have to pay in accordance with the BSNL offered plans. After six months of enjoying these plans, users will have to migrate to one of the existing plans that BSNL offers. The plans shall not be available on FFTH.